The online version of this article (doi: 10.1186/s12976-017-0053-x) contains supplementary material, which is available to authorized users. To determine the mesh independence, we performed the simulations of the mouse AVF model (Day 7) at 0.5×106 tetrahedra (average length 0.52 μm), 1.5×106 tetrahedra (average length 0.37 μm), and 15×106 tetrahedra (average length 0.23 μm); the time step was 0.1 ms for all. To determine the time step independence, we performed the simulations of the mouse AVF model (Day 7) at three time steps: 1, 0.1, and 0.01 ms; the mesh density was 1.5×106 tetrahedra for all. Results were considered independent when the differences in the simulation results were <5% between two consecutive simulations. This was achieved between 1.5×106 and 15×106 tetrahedra and between 0.1 and 0.01 ms. Therefore, 1.5×106 tetrahedra and 0.1 ms were chosen for all simulations. As compared to previous CFD simulations for human or pig AVF, our step size is an order of magnitude smaller (0.1 ms vs. 1 ms), and so is our length scale (0.5 μm vs. 5 μm). 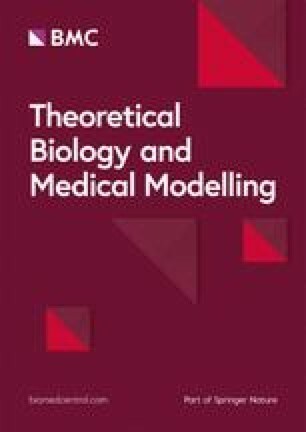 This difference is critically important for investigating the murine geometry and hemodynamics, which are much different from porcine models or human patients studied previously in the literature [7, 8, 9, 10]. In the present study, velocity and resulting hemodynamic parameters (WSS, WSSg, OSI) are substantially elevated (as compared to contralateral non-surgery controls) in both the AVF inflow artery and the main AVF vein (Figs. 5, 6 and 7). We also quantitatively described the disturbed patterns (recirculation, vortices) of the flow paths through the lumen by vorticity, helicity, and Q-criterion (Figs. 8, 9 and 10). Disturbed flow patterns have been linked to the development of atherosclerosis  and neointimal hyperplasia in AVF [22, 23, 24]. Previous AVF CFD studies in the literature have focused primarily on wall hemodynamics and velocity streamlines; we have expanded this present analysis to include the flow patterns. Regarding wall hemodynamics and velocity streamlines, previous studies have evaluated the hemodynamics and WSS throughout the arterial or venous tree in mice using various models, including aortocaval AVF, carotid-jugular AVF, carotid artery stenosis by external cast, transverse aortic constriction between the right and left carotid arteries, and partial carotid ligation [25, 26, 27, 28, 29, 30]. These studies either calculated WSS using an analytical approximation (such as Poiseuille flow) or used CFD at a much larger spatial interval, such as 1 cm averages. In these studies, the magnitude of WSS in the pre-surgical artery and vein ranges from approximately 10-240 dyne/cm2 and 8-18 dyne/cm2, respectively; the magnitude of WSS in the post-surgical artery and vein ranges from approximately 100-320 dyne/cm2 and 15-180 dyne/cm2, respectively [25, 26, 27, 28, 29, 30]. Since these studies are in various pathological models, the range of WSS is large. However, our results fit within this range, while providing an order of magnitude smaller spatial resolution (0.5 μm vs. 5 μm in human/pig models) for WSS and other hemodynamic parameters that are necessary for murine AVFs. In addition, our 0.1 ms time step over a 120 ms cardiac cycle in mice distinguishes our study from large animal models with much longer cardiac cycles, such as pigs (cardiac cycle ~800-1000 ms, time step 1 ms) . Currently, there is no consensus on the physiologically relevant level of OSI with respect to causing damage to the endothelium, but similar OSI peaks to our mouse AVF vein at Day 7 and Day 21 (0.4, Fig. 7) were seen in the vein wall of a porcine AVF model (>0.3) .